One of the best things you can do if you suspect that your roof has recently sustained damages or that it simply has deteriorated due to age is to schedule a roof inspection and estimate. A professional roofer will be able to assess the current condition of your roof and they can offer you options for repairs or replacement. It is never a good idea to leave a damaged roof for too long, as damages will usually worsen over time. This can lead to higher costs in repairs down the road. When you schedule a roof estimate, you might wonder what exactly to expect and what questions you should ask. As your local Tuscaloosa roofer, our goal is to help you feel secure in the condition of your roof. We will be happy to visit your home to provide an inspection and estimate. Check out how the process works and what questions you should ask during your next roof estimate. Prior to scheduling an inspection, there are a few questions you should ask potential companies. You don’t want just any roofer handling the project. Start off by asking the roofing company the following things. Do you charge for an inspection? In some cases, a roofer will wind up handing you a hefty bill at the end of their inspection. 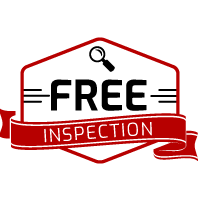 Look for a roofing company that provides free inspections to save yourself on costs. Why waste your time with a roofer who doesn’t have a proven track record? You want to work with a roofing company that has years of experience and references to prove it. This ensures that the inspection you receive will be thorough and professional. If you are scheduling an inspection due to damages from a recent storm, you will want to work with a roofer that can help you with your insurance claim. 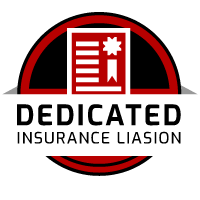 Make sure that they are capable of working with your insurance company before scheduling an inspection. Once you have chosen the right roofer, it is time to get an inspection on the calendar. Schedule the roofing estimate for a day that you have plenty of time to dedicate to the process. This will ensure that you are not rushed and that you have adequate time to speak with the roofer about their findings. The following are a few questions to ask during the actual inspection. What specific damages did you find? During the roof inspection, if the roofing contractor finds damages, be sure to ask for specifics.  Rather than just a blanket statement about your roof needing repairs, you should be given a detailed account of what specifically is wrong. What are my options for repairs? Once you know what is wrong with your roof, take the time to ask about every option available for repairs. Avoid working with a roofing company that employs aggressive sales tactics. Instead, work with a roofer who is clear about every direction you can take. This allows you to make the best decision for your home or company. If you need a roof replacement or major repairs, be sure to ask about your options for materials. In some cases, premium materials will boast a hefty price tag but might offer added benefits down the road. In other situations, a basic material will suffice and save you money. Learn about every option available before making any decisions. What is your estimated timeframe for fixing my roof? While the price is a big factor in the roofing estimate you receive, you will also want to ask about the timeframe for repairs. 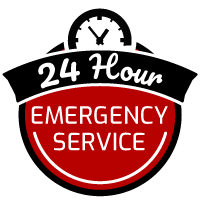 Depending on the severity of damages, you might need to work with a company who can get you scheduled quickly. Understanding how long repairs will take will give you a better idea of how to plan. Once you have a roofing estimate in hand, it is time to sit down and calculate the costs. If you have options to consider, spend some time thinking over the decision before scheduling anything. While you don’t want to leave a damaged roof for too long, you also want to ensure you are making the best choice possible. Finally, if you were pleased with the inspection you received, give the roofer a call and set up a time for repairs or replacement. Here at PRN Roofing, we are ready to assist you with all your roofing needs. From large commercial roofing projects to smaller residential repairs, we have the experience needed to provide you with outstanding services. If you need assistance with your roof, we invite you to contact us today. We provide free roofing inspections at no obligation to you. Our goal is to provide you with a detailed and professional report on the current condition of your roof. From there, we will provide you with the options available for repairs or replacement. 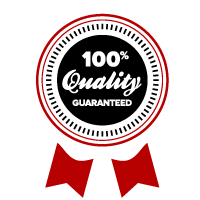 We are never pushy and you can trust that the information we give you is accurate and fair. At PRN Roofing, we have a solid reputation in the community as a trusted Tuscaloosa roofer.  We invite you to contact us today to learn more about our extensive array of services or to schedule your free roofing estimate. We look forward to helping you keep the roof over your head solid and secure.